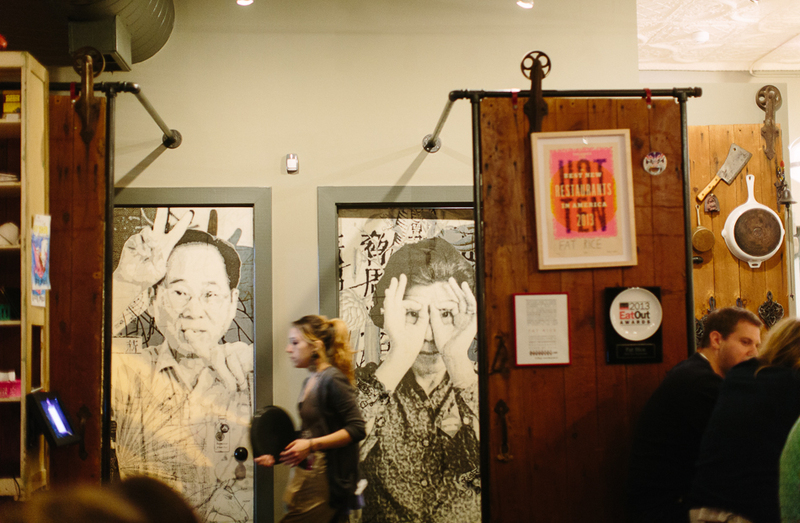 Fat Rice Chefs Adrienne Lo and Abraham Conlon know exactly how to make your taste buds sing. We’ve been trying to get ourselves to this spot for months now. Luckily, on Friday evening, we had luck walking in and getting seated right away. The family style dinner was top notch and filled us to the brim. 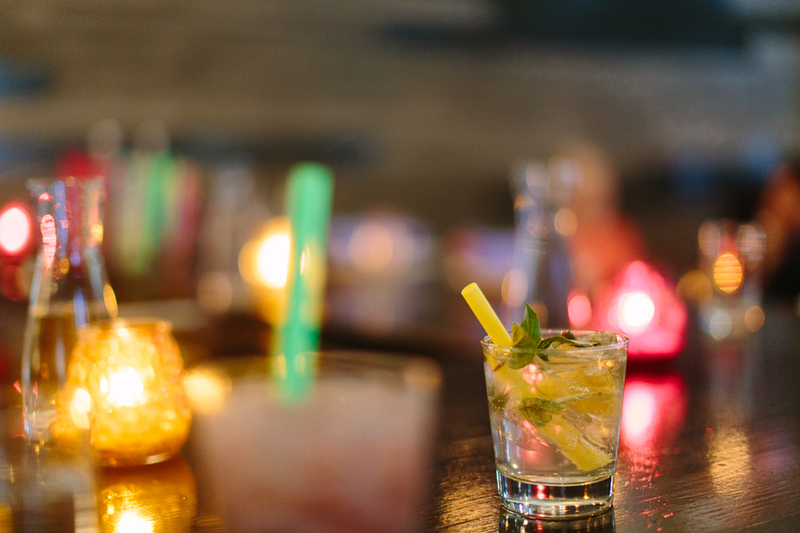 Next time we return, we’ll most definitely order the Piri Piri again! 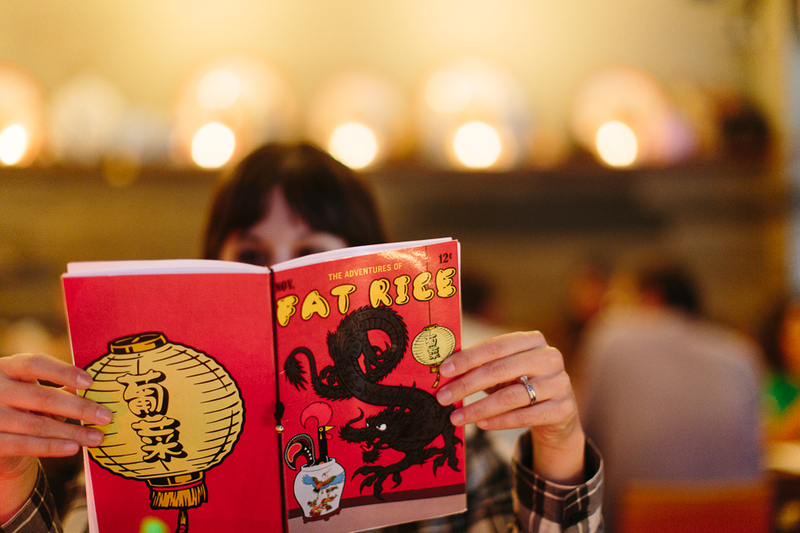 1 Fat Rice menu resembles a graphic novel. 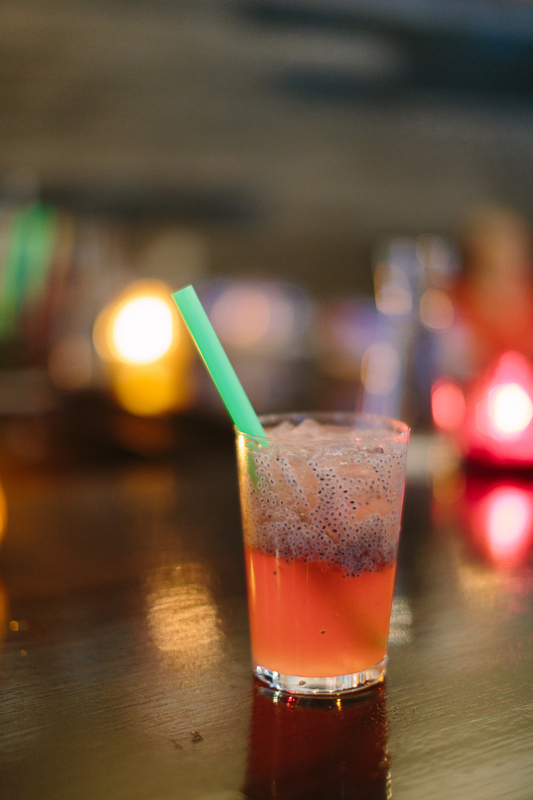 2-3 The Lover with hibiscus vodka, ginger syrup, + chewy basil seed bubbles ($11) + Gintonic made with gin, citrus, + Thai basil ($9). 4 Fat Noodles are their hand rolled rice noodles. 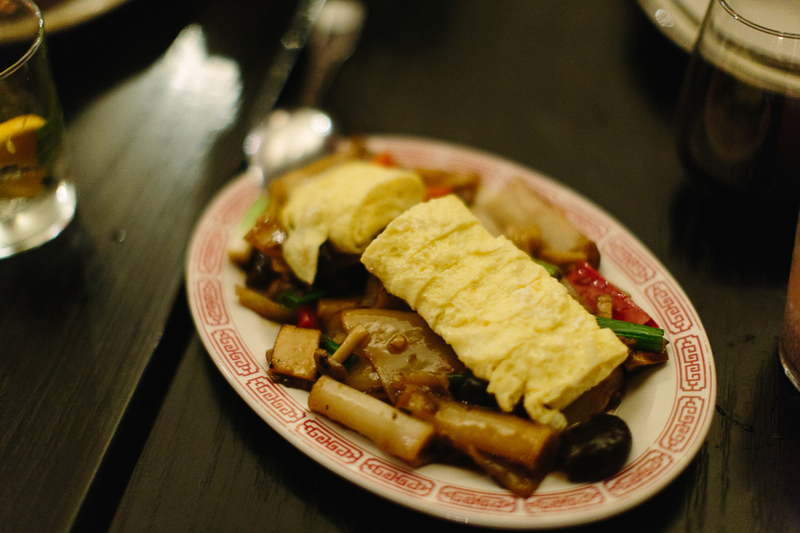 We ordered them with mushroom and egg ($14). 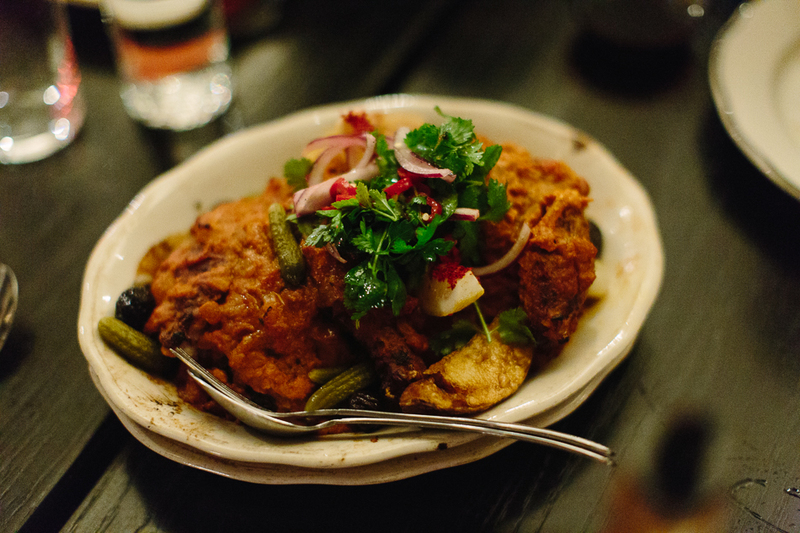 5 Piri Piri Chicken is perfect in every way ($24). The oil-cured olives in the mix are impeccable. 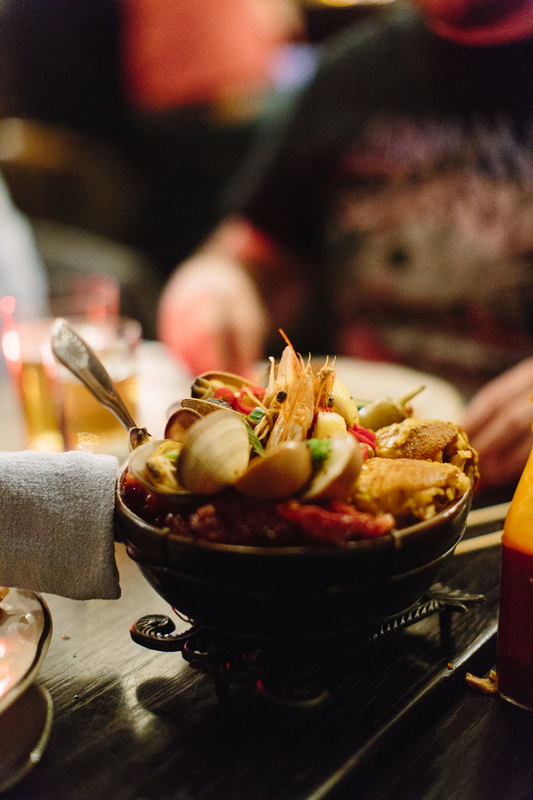 6 The namesake, Arroz Gordo “Fat Rice” — a layered dish starting with clams, prawns, pork belly, chicken, duck, house-made linguiça, a tea-infused hard-boiled egg, and a bed of crispy rice all nestled in a hot stone bowl ($48). 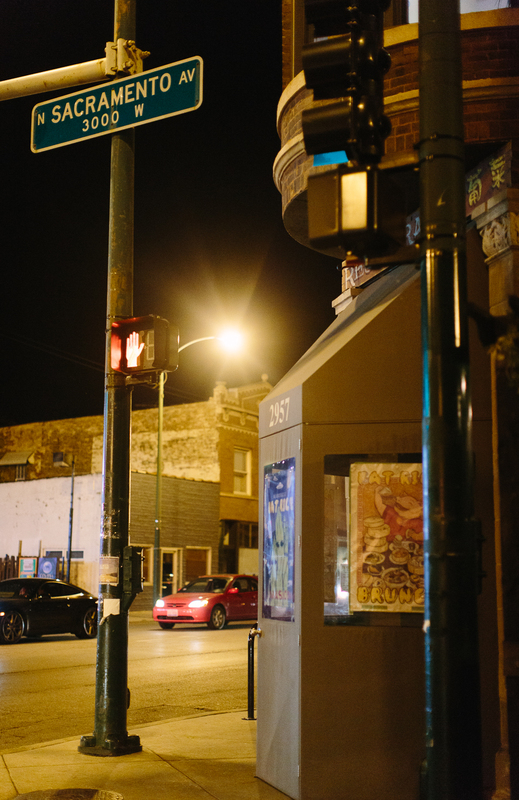 7-8 On the door of the restrooms are photographs of Lo’s grandparents + the front entrance of Fat Rice off of the intersection of Sacramento Avenue and Diversey Avenue.